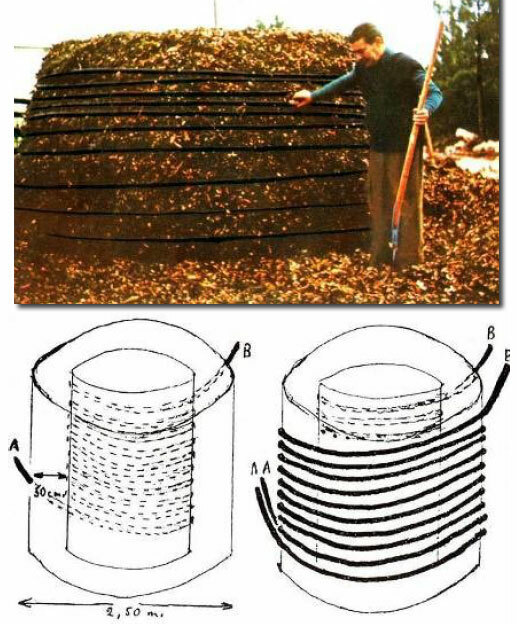 The non fossil fueled heater with compost is an invention attributed to the French Jean Pain (1928-1981) and can be built by any farmer with a minimum investment. 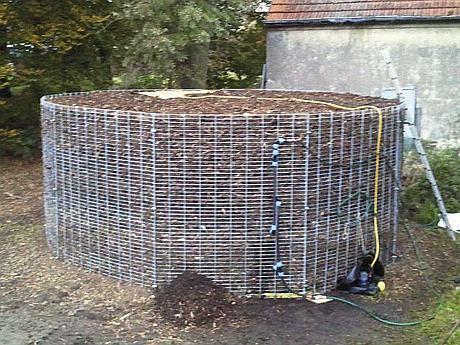 The innovative compost-based heater system can provide heat for the farm and the house during the winter. 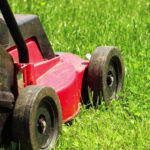 Everything is 100% natural and you will use the resulted compost from your leaf vacuum and mulching work. At the base of the green heater plant we find the compost’s property of generating heat. The temperatures inside can reach 150 degrees Fahrenheit (65 degrees Celsius) if the system is built with maximum efficiency. If you decide to build this alternative heating system, you will need a pump, pipe and steel mesh. 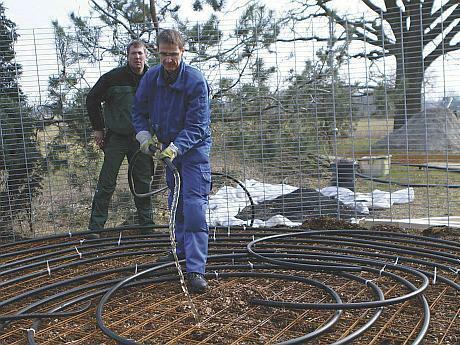 The bio heating system can provide the heating needs for an area up to 1,500 square meters for at least 12-16 months. After this period of time, the compost needs to be changed. The recommended standard size for this type of heating system is 16 feet (5 meters) in diameter and 8 feet (2.5 meters) in height. The system is used in many households and farms all over the world. As a basic material considered to be the most effective, European farmers recommend leaves and chopped branches. You can use the branches left over from seasonal works in orchards or parks. 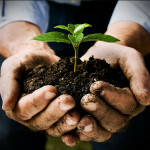 The compost can contain a maximum 15% of pine wood, considered too “sour” for microorganisms “engaged” in decomposition. In general, well-chopped green wood, a light-conducting pipe, a pump and steel fence used in construction are used as basic materials. Once the wood is chopped, putting together the system can be done in just 6 hours if a tractor with a small loader is also used. The “plant” is built based on a thick plastic foil such as those used in ponds, which will ensure the success of the first set-up phase, when the compost is well supplied with water in order to cause the wood to rot. Over the plastic foil comes a layer of chopped wood. Then comes the pipe, placed in a circular shape and fixed to the structure to maintain its concentric shape. The process is then repeated, adding four layers of pipe and five layers of chopped wood (up to the last one above). There are many secrets that ensure the operation of the compost plant. French farmers say it is important that the wood is not very fine chopped, so that the pieces allow oxygenation inside and stimulate the decomposition process. Another important element is permanent watering in the first four days, so that the compost is at least 70% well soaked. It seems that a frequent mistake that may overturn the farmer’s plans is not to wet enough or to have no raw wood in the “bio heating plant”. The beauty of this system is that the initial materials – the pipe, the fence, can be reused for 10-15 years with the same efficiency. So, there is only one time investment involved. 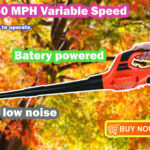 This entry was posted in Gardening Advices and tagged Gardening Advices, leaf mulcher, leaf vacuum on September 4, 2018 by Leaf Vacuum Mulcher.